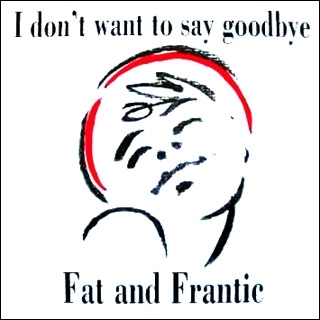 Fat and Frantic made a name for themselves on the contemporary Christian circuit in the 80s with their wacky approach to making music, which was a mixture of skiffle, folk and out-and-out pop, their oblique songs featuring eloquent titles such as ‘Last Night My Wife Hoovered My Head’. Other musical connections include Scottish band Lies Damned Lies. Dot Reid, Charlie Irvine and Steve Butler formed Lies Damned Lies after a period in the mid-80s spent trading as Talking Drums. After several attempts to break into the big-time mainstream (most notably through a series of massive-sounding Stuart Levine-produced singles such as ‘Love Among the Ruins’, ‘Lonely Together’ and ‘Say You Won’t Forget Me’), the band focused on what they do best: melodic, moody, meandering, ambient pieces that fall somewhere between Blue Nile, Prefab Sprout and David Gray. Fairnie artwork turned up on the cover of the Lies Damned Lies compilation ‘Retrospectively’. In the liner notes, Lies Damned Lies refer to Fairnie as their “friend and mentor during the mad years”.